The International Keratoconus Academy of Eye Care Professionals is an organization that was established to promote ongoing professional education and scientific development in the area of keratoconus and other forms of corneal ectasia. The founding executive board of the International Keratoconus Academy of Eye Care Professionals is comprised of a group of highly regarded experts in the field including: President and co-founder -S. Barry Eiden, OD, FAAO, and board members Andrew Morgenstern, OD, FAAO, Timothy McMahon, OD, FAAO, Joseph Barr, OD, FAAO, William Tullo, OD, FAAO, Clark Chang, OD, FAAO, Eric Donnenfeld, MD, Yaron Rabinowitz, MD and Vance Thompson, MD. Dr. S. Barry Eiden is president and medical director of North Suburban Vision Consultants, Ltd., a multi-specialty group practice with 2 locations in the Chicago area. He is also president and founder of the International Keratoconus Academy of Eye Care Professionals, an organization providing education and research to eye care professionals. Additionally, Dr. Eiden is co-founder and president of EyeVis Eye and Vision Research Institute, which is dedicated to the clinical research and development of technologies in the field of eye care. 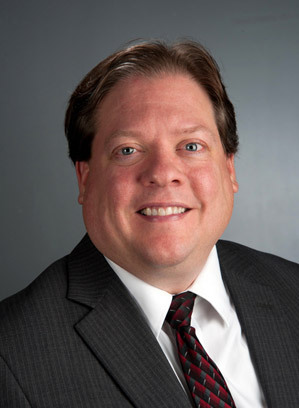 Dr. Eiden is an assistant clinical professor in the Department of Ophthalmology, Cornea and Contact Lens Service of the University of Illinois at Chicago Medical Center, and an adjunct faculty member of the Indiana, Illinois, Salus, and UMSL Colleges of Optometry. He is on the editorial boards of numerous professional journals, and frequently publishes in the professional literature. 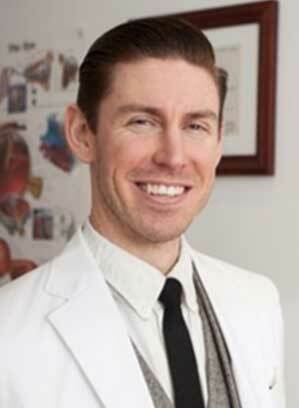 Dr. Eiden was an investigator on the CLEK (Collaborative Longitudinal Evaluation of Keratoconus) Study as well as many other clinical investigations and studies in the eye care field. Dr. Eiden is past chair of the American Optometric Association’s Contact Lens and Cornea Section, and he is a fellow of the American Academy of Optometry. He is also a research consultant for numerous contact lens, technology, and pharmaceutical companies, and lectures extensively both nationally and internationally. 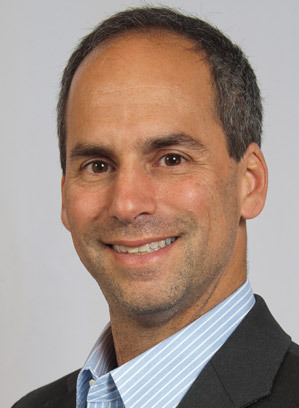 Andrew S. Morgenstern, OD, FAAO FNAP is the founder of OcuSolve, LLC, a healthcare and management consulting firm located in Bethesda, Maryland. Dr. Morgenstern is a clinician with special interest and expertise in anterior segment ocular disease; interprofessional collaborative healthcare policy; refractive surgery; corneal ectatic disease detection, diagnosis and treatment; solutions and treatment of refractive error both surgical and non-surgical, eye and orbital trauma, systemic/vascular disease, traumatic brain injury (TBI) (military and non-military), military medicine and ophthalmic & medical research. He is a graduate of Boston University (B.S. ), Nova Southeastern University College of Optometry (O.D., Clinical Honors) and completed his training at the Bascom Palmer Eye Institute (BPEI) at the University of Miami School of Medicine, Department of Ophthalmology. 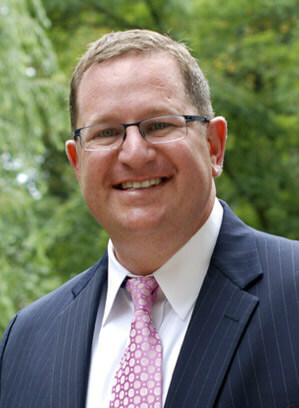 Dr. Morgenstern is currently the contract Optometric Subject Matter Expert for the Department of Defense/VA Vision Center of Excellence (VCE) located at the Walter Reed National Military Medical Center in Bethesda, Maryland researching solutions to refractive error, eye trauma and vision dysfunction associated with traumatic brain injury (TBI). He is also the Methodologist for the American Optometric Association Evidence Based Clinical Practice Guidelines. Dr. Morgenstern is an Assistant Professor of Surgery/Ophthalmology at the Department of Defense Uniformed Services University Medical School. Dr. Morgenstern is the Immediate Past President of the Optometric Cornea, Cataract and Refractive Society (OCCRS), Past President of the Maryland Optometric Association (MOA), Co-Founder and Executive Board Member of the International Keratoconus Academy of Eye Care Professionals (IKA) and Chief Medical Editor Emeritus of Advanced Ocular Care and Collaborative Eye. Dr. Morgenstern is the 2012 Distinguished Alumni Award recipient from Boston University as well as the 2015 Distinguished Alumni Award recipient from Nova Southeastern University College of Optometry. He is the 2015 Maryland Optometrist of the Year and the recipient of the AOA Presidential Award. In March of 2019, Dr. Morgenstern was inducted into the National Academies of Practice as a Distinguished Practitioner and Fellow. Dr. Clark Chang is Director of Cornea Specialty Lenses at Wills Eye Hospital – Cornea Service (Philadelphia, PA) and Director of Clinical Services at TLC Vision. He has many years of research experiences in keratoconus treatment options and is frequently sought after by national and international symposia to share research and clinical findings as a keynote speaker. He is well published in the professional literature, particularly in the expert content areas of corneal crosslinking, Intacs, and other visual rehabilitation treatment options such as specialty contact lens fitting. 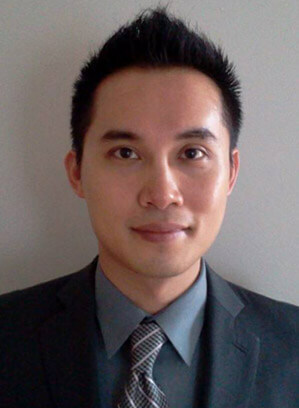 Dr. Chang is currently also an adjunct faculty at Pennsylvania College of Optometry - Salus University. Dr. Chang is an executive board member of the International Keratoconus Academy of Eye Care Professionals and he is also an advisory member at OCCRS and GPLI (Optometric Council on Refractive Technology and Gas Permeable Lens Institute). As well, he is the immediate past president of New Jersey Academy of Optometry and the current vice chair of the membership committee at the American Academy of Optometry. 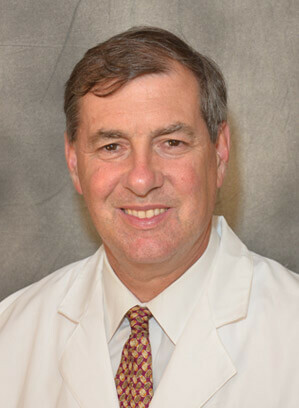 Dr. Donnenfeld is Clinical Professor of Ophthalmology at New York University and is a member of the Board of Overseers of Dartmouth Medical School He is a founding partner of Ophthalmic Consultants of Long Island, one of the largest practices in the country. In addition to his academic teaching, Dr. Donnenfeld has been an investigator for 60 FDA trials and a researcher for various industry groups. He performed his first excimer laser treatment in 1989 as a principle investigator for the FDA trials. He has 200 peer reviewed published articles and more than 30 book chapters, as well as in the many invited lectures he has given. He was editor-in-chief of Cataract and Refractive Surgery Today from 2009-2015 and is currently the editor-in-chief of EyeWorld, the publication of the American Society of Cataract and Refractive Surgery. He has been on the editorial board for numerous journals in the field of ophthalmology. 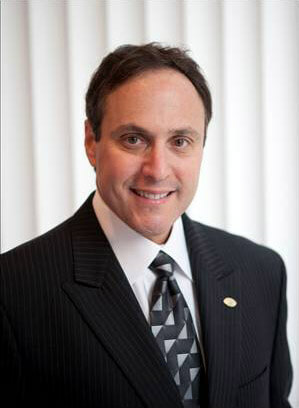 Dr. Donnenfeld is the immediate past President of the American Society of Cataract and Refractive Surgeons. He is a former president of the Nassau Surgical Society. He has served on the Board of Directors for both of these organizations, as well as others. He is the surgeon director of the Lions Eye bank for Long Island. Dr. Donnenfeld has received four awards from the American Academy of Ophthalmology: the Honor Award, the Senior Honor Award, the Life Time Achievement Award, and the Secretariat Award. He also serves on the executive board of the International Keratoconus Academy of Eye Care Professionals. Timothy T. McMahon, OD, FAAO graduated from Illinois College of Optometry in 1980, and completed a residency at the Kansas City Veterans Administration Medical Center in 1981. From 1981 to 2010 Dr. McMahon was a faculty member at the University of Illinois at Chicago in the Department of Ophthalmology and Visual Sciences and currently holds the rank of Professor of Ophthalmology. From 2010 through 2011 he served as the Associate Director for Clinical Affairs, Professor of Optometry and Optometrist-in-Chief at the University of Waterloo, School of Optometry in Waterloo, Ontario, Canada. He returned to the UIC Department of Ophthalmology & Visual Sciences in late 2011 and holds the rank of Professor of Ophthalmology. In 2013 he received Board Certification in Medical Optometry by the American Board of Certification in Medical Optometry. In 2014 he was appointed Vice Chair for Optometry in the Department of Ophthalmology & Visual Sciences at UIC. He is a Fellow of the American Academy of Optometry and is a Diplomate in the Section on Cornea, Contact Lenses and Refractive Technologies. He previously served as Chair of the Academy’s Research Committee and Vice Chair of the Academy’s Scientific Program Committee and is a member of the AOA’s Council on Research. Dr. McMahon was appointed to the American Optometric Foundation Board in 2002 and served as its treasurer until 2008 when he was elected to serve as a member of the Board of Directors of the American Academy of Optometry where he continues to serve. He continues to serve on the editorial board for the journals Cornea and Eye and Contact Lens. In 2000 the National Academies of Practice named him a Distinguished Clinical Fellow. 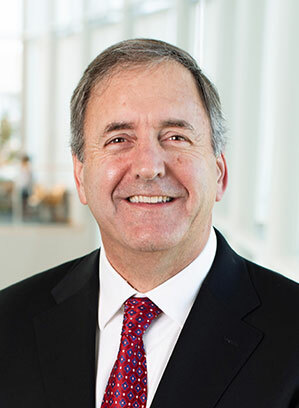 Dr. McMahon has been an investigator or principal investigator for several NIH and VA funded research projects, including the CLEK Study, where he served on the Executive Committee. From 2001 to 2005 he served on the FDA Ophthalmic Devices Panel and remains a consultant. He has published widely and has lectured nationally and internationally. His interests include contact lenses, corneal topography and anterior segment diseases. Dr. Barr is an Emeritus Professor at The Ohio State University College of Optometry. He is currently involved in working with industry and inventors to bring innovation to eye health. 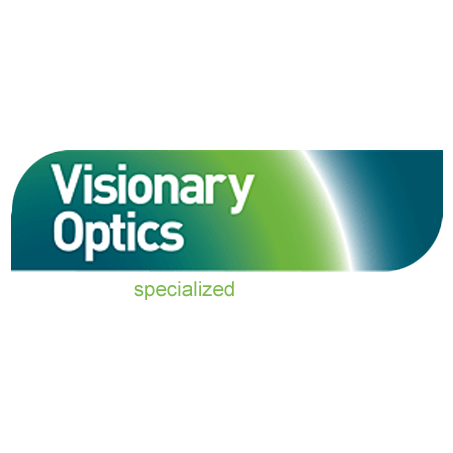 From July 2007 through June 2014 Dr. Barr was with Bausch + Lomb, primarily leading clinical and medical affairs teams and as a member of the Vision Care Leadership Team and most recently as vice president, medical affairs, Pharmaceuticals & Vision Care. Prior to that, he was with Ohio State University for 24 years in various capacities including associate dean for clinical services and professional programs. During his tenure with Ohio State, Dr. Barr also spent two decades as editor of the professional journal Contact Lens Spectrum. He was founding editor of the first electronic newsletter for eye care professionals, Contact Lenses Today. He has over 50 peer reviewed publications primarily in cornea and contact lenses. He is a former Chair of the Section on Cornea and Contact Lenses and Refractive Technologies of the American Academy of Optometry and received its Max Schapero Memorial Lecture Award. He was a member of the executive committee and Director of the (CLEK) Collaborative Longitudinal Evaluation of Keratoconus Photography Reading Center sponsored by NEI/HIH. Dr. William J. Tullo is the Vice President of Clinical Services for Vision Group Holdings, TLC Laser Eye Centers and Laser Vision Institute. He has served as Assistant Clinical Professor specializing in cornea and contact lenses and he has maintained a private practice in his hometown Princeton, New Jersey. Dr. Tullo lectures extensively internationally on refractive surgery, cornea diseases and eye implications of child abuse. Dr. Tullo is a Diplomate Cornea, Contact Lens and Refractive Surgery for the American Academy of Optometry and a member of the American Optometric Association. 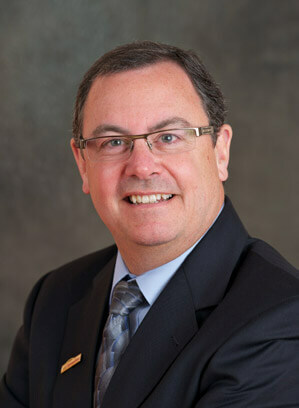 He is an executive board member of the International Keratoconus Academy of Eye Care Professionals. 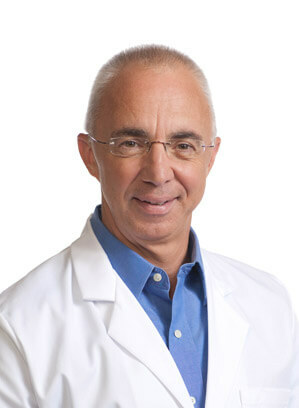 Dr. Yaron S. Rabinowitz, M.D. Dr. Rabinowitz is Clinical Professor in the department of ophthalmology at the UCLA Jules Stein Eye Institute and also is the Director of Research in the division of ophthalmology at Cedars-Sinai Medical Center, Los Angeles, California. He practices at the Cornea-Genetic Eye Institute in Beverly Hills, California. Dr. Rabinowitz received his medical degree at the University of Cape Town in Cape Town, South Africa and completed his residency training at Pennsylvania State University. He then did a fellowship in cornea and external eye disease at the Estelle Doheny Eye Cinic of the University of Southern California and followed that by completing a second fellowship in ocular and molecular genetics. In addition to his clinical practice activities and academic teaching activities, Dr. Rabinowitz has been and is continually involved in research in the area of cornea and genetic eye disease with special emphasis in keratoconus. He is considered one of the world authorities on keratoconus. Dr. Rabinowitz serves on multiple professional boards as well as various professional journal editorial boards. He has published many papers and articles in the professional literature and lectures both nationally and internationally. Dr. Trattler is the Director of Cornea at the Center for Excellence in Eye Care and is on the Volunteer faculty at Bascom Palmer Eye Institute and Florida International University School of Medicine's Department of Ophthalmology. After graduating from Dartmouth College, he attended medical school at the University of Miami School of Medicine and completed his ophthalmology residency at the University of Pennsylvania, Scheie Eye Institute. He spent an additional year for subspecialty training in cornea and refractive surgery at the University of Texas Southwestern Medical Center in Dallas. Dr. Trattler participated in the FDA-approval study for Epi-Off corneal collagen crosslinking, and has participated in Epi-On CXL clinical trials with CXLUSA. Dr. Trattler has authored many books, articles, and text book chapters including Microbiology Made Ridiculously Simple, a textbook he helped co-author that is used by medical, nursing, and veterinary students throughout the world. In 2002, Dr. Trattler received the "Outstanding Young Ophthalmologist Leadership Award" from the Florida Society of Ophthalmology. In 2006, he was named one of the top 50 Cataract & Refractive Surgery Opinion Leaders, as voted on by readers of Cataract & Refractive Surgery Today. Dr. Trattler is currently the Chief Medical Editor of Advanced Ocular Care, a new publication that reaches 17,000 eye care professionals in the United States. Dr. Gelles is the director of the specialty contact lens division at the Cornea and Laser Eye Institute-Hersh Vision Group and the CLEI Center for Keratoconus in Teaneck, New Jersey. His clinical work is dedicated exclusively to specialty contact lenses and surgical co-management for corneal disease (specifically keratoconus), ocular surface disease, and post-surgical corneal conditions as well as clinical research for keratoconus and specialty contact lenses. Dr. Gelles is also the Chief Emerging Technology Officer at EyeCareLive. He is a Fellow in the International Academy of Orthokeratology, a Fellow of the Contact Lens Society of America, and a Fellow of the Scleral Lens Education Society. He is a graduate of the Pennsylvania College of Optometry and is an adjunct clinical instructor for State University of New York College of Optometry and New England College of Optometry. Additionally, he is an optometric consultant and is an advisory board member of the Gas Permeable Lens Institute and serves on the executive board of the International Keratoconus Academy of Eye Care Professionals. Vance Thompson, MD is an internationally recognized specialist in Laser Vision Correction and Advanced Cataract Surgery. He is the Founder of Vance Thompson Vision Sioux Falls, SD and the Director of Refractive Surgery he also serves as a Professor of Ophthalmology at the Sanford USD School of Medicine. As a leading international researcher he has played a key role in the development of the most advanced technologies and techniques for both laser and implant vision correction. He has served as the medical monitor lead or principal investigator in over 65 FDA monitored clinical trials studying laser and implant surgery. In addition, Dr. Thompson has published numerous papers and book chapters and is co-author of the textbook Refractive Surgery. 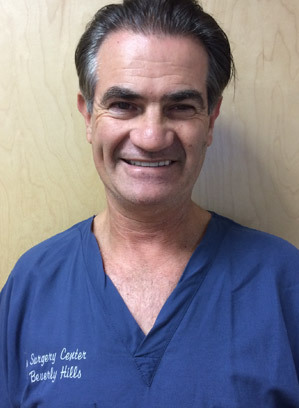 He has lectured and taught advanced laser and implant surgery to thousands of surgeons all around the world. A Gregory, South Dakota native, Dr. Thompson received his BS in Chemistry and his MD degree from the University of South Dakota. After completing his ophthalmology residency at the University of Missouri/Columbia, he was accepted and completed a fellowship in Refractive and Cataract Surgery with Dan Durrie, MD and John Hunkeler, MD at Hunkeler Eye Centers in Kansas City. Dr. Thompson and his wife Jana reside in Sioux Falls, South Dakota. They have 3 children, Blake (and his wife Kayla), Joel, Lauren and two grandsons. His main interests include his family, cooking, and spending time in the outdoors. The mission of IKA is to promote and develop the knowledge base and awareness of the state of the art pertaining to the diagnosis and management of keratoconus and other forms of corneal ectasia. Further, we are dedicated to promoting the awareness and understanding of the most appropriate and effective treatment strategies for the management of these diseases. I.K.A. will accomplish its mission by providing an array of educational initiatives which will include live events, web-based education, social media activities and publications in the professional literature. It will also be dedicated to supporting ongoing clinical research. I.K.A. will function as a complementary entity to other organizations that support patients with these diseases such as the National Keratoconus Foundation (NKCF). These organizations will work cooperatively to establish a comprehensive effort to advance knowledge, awareness and quality of care. The International Keratoconus Academy of Eye Care Professionals are dedicated to helping patients with corneal ecstatic diseases achieve their best vision possible and to ensure early diagnosis of the disease in an effort to incorporate technologies that thwart progression that results in vision loss. We are further dedicated to ongoing research in order to find cures and the ultimate elimination of such diseases. The International Keratoconus Academy of Eye Care Professionals will achieve its mission by raising the bar of professional education and promoting research in the field. By educating eye care practitioners about the most current state of the art in the diagnosis and management of keratoconus and other forms of corneal ectasia we will create a consensus in the approach to the diseases that will ultimately allow patients all over the world to be treated similarly and have access to the highest quality of eye care services and treatments possible.